Soccer is the most popular sport in Costa Rica, it’s almost a religion. Some say soccer became so popular in Costa Rica culture because one ball can be shared among many. Moreover, the game can be played almost everywhere. You’ll be hard-pressed to find a town in Costa Rica that doesn’t have at least one soccer field, called a “cancha” in Tico Spanish. During the lunch hour and after work you’ll see large groups of soccer players heading to the field for a friendly match, called a “mejenga”. The National Team is called “Le Sele”, which has played in four World Cups. It is run by the Costa Rican Football Federation and is a member of the International Federation of Association Football (FIFA), the Confederation of North, Central American and Caribbean Association Football (CONCACAF) and the Central American Football Union (UNCAF). There are several other professional teams that play each other within Costa Rica. The most famous are Liga Deportiva Alajuelense (La Liga) and Deportivo Saprissa, a professional soccer club. Anytime one of the Costa Rican teams are playing, you can be sure all of the neighborhood bars will be full of people watching the football game and drinking Imperial or Pilsen with their friends. Soccer is an important Costa Rican tradition. 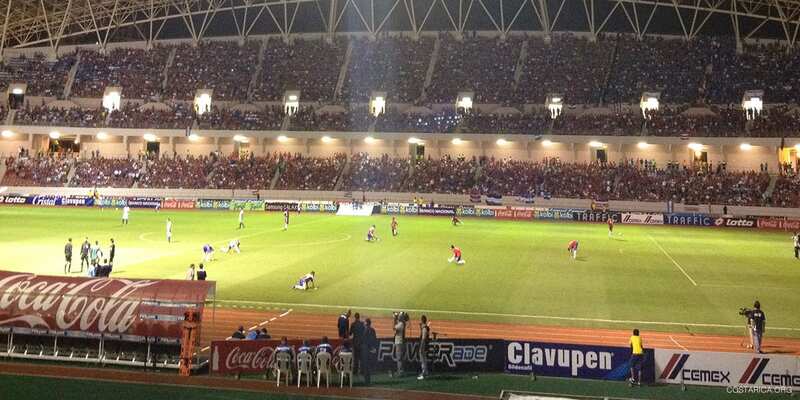 Ticos grow up playing mejengas, supporting the domestic teams and cheering for La Sele. Soccer is not just a sport, but a part of the Tico pride and identity. Costa Rica’s professional league is called Primera División which was founded in 1921. The league is composed of 12 teams, with Saprissa (33 titles), Alajuelense (29 titles) and Herediano (26 titles) being the most successful. As goes with any sports team that has a dedicated fan base, the rivalry between teams can be fierce. Saprissa is direct rival to La Liga and when they play each other the whole country watches. These 12 teams compete year-round in two seasons: a summer season from February to June, and a winter season from July to December. Additionally, as part of the Costa Rica culture, we have a great national team. La Sele has qualified for several World Cups in 1990, 2002, 2006 and 2014. The National Costa Rica Soccer Team is beloved and supported by their fans and country. The team, referred to by their nickname, La Sele, coming from the Spanish word ‘selección.’ La Sele has a rich history. The first time they qualified for the World Cup was in 1989, and during the Italy World Cup in 1990 the team was able to make it into the last 16 teams. The Costa Rica soccer team entered the World Cup 2002 and made it to the 19th spot. Again in 2006, La Sele qualified and played in the World Cup but sadly finished 31 out of 32 teams. 2014 brought another year that the team qualified for the FIFA World Cup, during the qualifying round they finished second place in CONCACAF, making history for the soccer team and Costa Rica! On June 14, 2014, Costa Rica landed in Group D, meaning they had to face off against football giants of Italy, Uruguay, and England. The first game was Uruguay vs. Costa Rica. This epic game had everyone jumping from his or her seats cheering for Costa Rica, the game ended with Uruguay 1 – 3 Costa Rica. Then on June 20 Costa Rica faced off against Italy, and Costa Rica made history when it won with Italy 0 – 1 Costa Rica. The next game against England on June 24 and ended with a draw, 0-0. Costa Rica set to play Greece in their next match on June 29, 2014. This historic battle game was non-stop nail-biting action that had to go into extra time and decided ultimately by penalty kicks. Costa Rica’s penalties score against Greece was 5 – 3 Greece. Costa Ricans don’t just watch soccer, almost everyone plays it or has played it at one time. You find people of all ages playing “mejengas” or unofficial games. These games are taken seriously, and the players can be very competitive! Many of the country’s larger institutions and corporations sponsor amateur games, for example, the national “Cervezeria” or Brewery. Banks also sponsor amateur teams along with supermarkets. If you are visiting Costa Rica and want to learn more about Costa Rica soccer culture, go on a soccer tour! Soccer tours allow you attend team practices, play in a “mejenga”, volunteer with low-income kids and go to pro soccer matches!